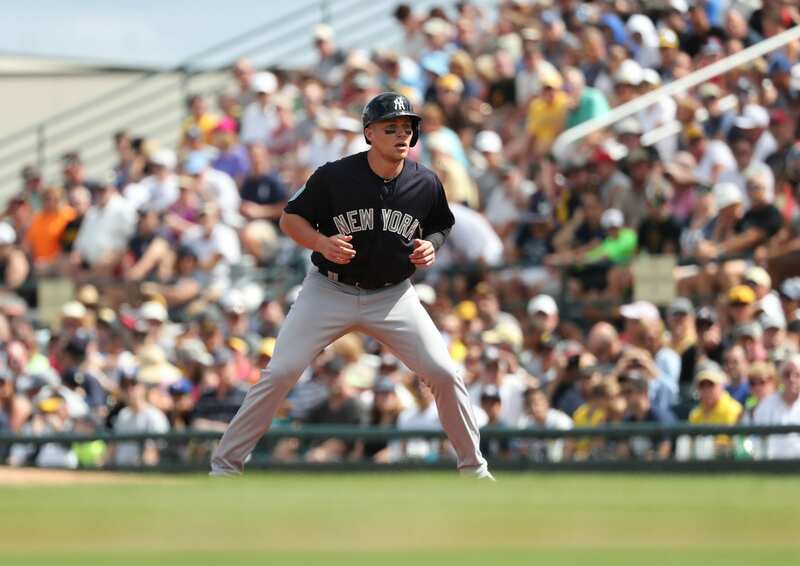 The New York Yankees acquired Brandon Drury on February 20th from the Diamondbacks in a three team trade that also involved the Rays. Drury is a player that GM Brian Cashman has stated he has wanted for a while, and I can understand why. He is a young talented player who has the ability to play many different positions and is a threat at the plate. Drury provides the Yankees with a fantastic player who can play all over the field. Drury has seen game action with the D-Backs at first, second, third, shortstop and both corner outfield positions. For the bombers though, he will be seeing a majority of playing time at third. The newest addition to the team, Brandon Drury, looks to add to the @Yankees infield depth for 2018. Drury is also a good hitter who lengthens the bottom of the Yankees lineup. Drury should start out batting in either the seventh or eighth hole. Having a batter who is as a good as Drury batting in the bottom of the order shows how deep the lineup truly is. Drury possess good power from the third base posititon and should see an increase in his homers this upcoming season. Drury hit 13 homers last season and was playing in a pitcher friendly NL West division. With Drury entering the AL East he should definitely come close to hitting 20 homers this season. He also hits for average and will consistenly get on base. Cashman has a history of working with the D-Backs on trades. Cashman acquired pitcher Brandon McCarthy for the D-backs for Vidal Nuno. But, the biggest and most successful trade Cashman has made with them is the Didi trade. Didi has turned into a superstar and the trade will go down as one of Cashman’s best acquistions. I can see Drury following the same path as Didi. Getting to play everyday for the Yankees and proving that Cashman is a genius. Drury is a player that can be a candidate for breakout player of the year. Time will tell but, I am extremely excited to see Drury wear the Pinstripes.